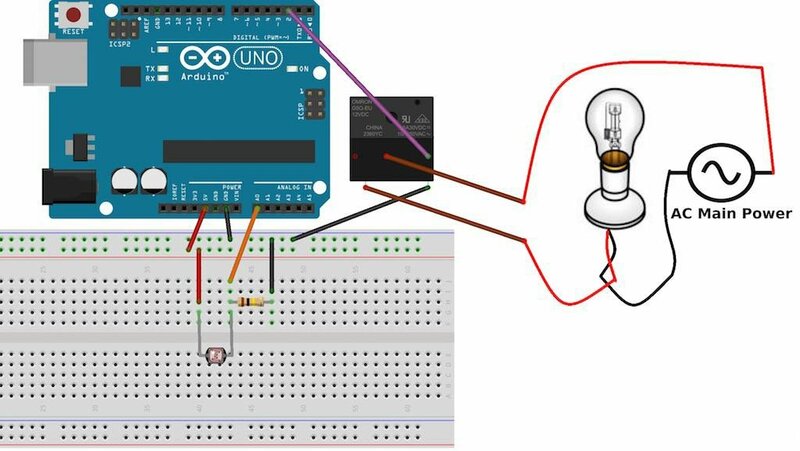 A simple project using an Arduino that automatically turn lights on when an LDR sensor detects darkness. This system works by sensing the intensity of light in its environment. 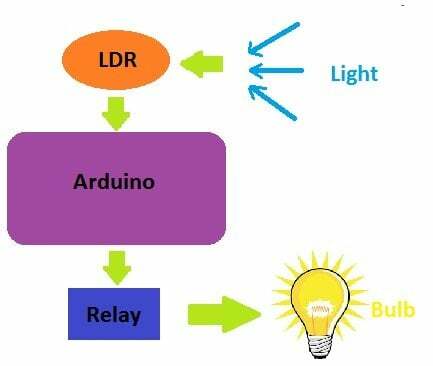 The sensor that can be used to detect light is an LDR. It's inexpensive, and you can buy it from any local electronics store or online. A relay is an electromechanical switch. It can be used to turn an appliance ON/OFF working on AC/DC. When the Arduino supplies HIGH voltage (5V) to the relay, it turns it on (the switch is ON), otherwise, it remains off. In this project, we used a 5V SPDT (single pole double throw) relay. One terminal of the relay coil is connected to the Arduino's digital pin 2 and the other end to GND. We connected a light bulb to it as well. Since we are dealing with high power AC voltages, be sure to take proper precautions. 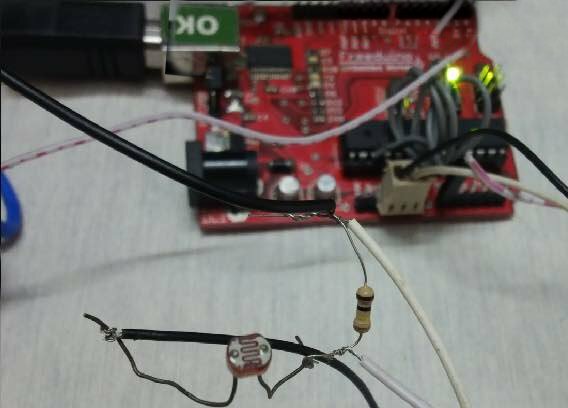 If you are still confused about connecting a relay to an appliance, read this article on Relay logic. The overall circuit is shown below. 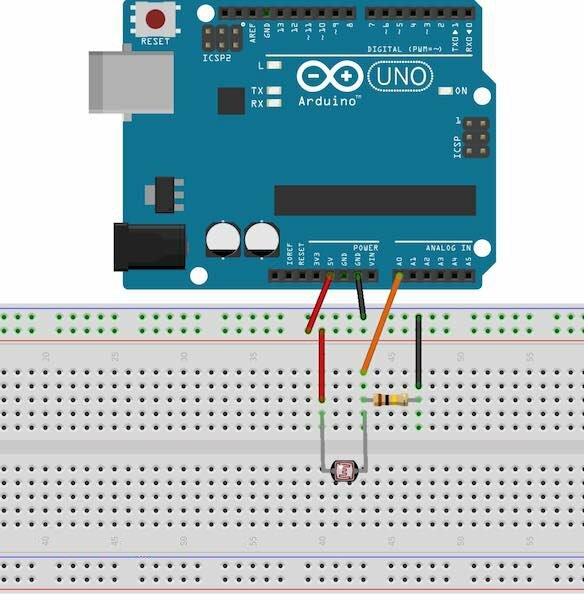 After connecting the Arduino as shown above, we need to test it by uploading the final code to our Arduino. The final sketch can be found here. In this sketch, we set a threshold light value as 700, but it can vary for your projects. You will need to find out the particular value at which the light bulb should turn on. This needs to be done after testing it empirically. 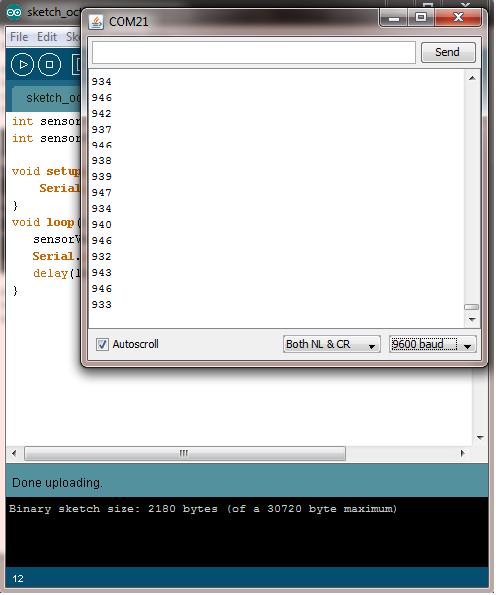 So basically, the Arduino turns on the light bulb (via the relay) whenever the light intensity falls below 700. When it is above 700, it turns the light bulb off. Here's a video showing it in action.